Placemats and napkins by C&F, Park Designs | P.C. Fallon Co.
Refresh your kitchen table with a set of P.C. Fallon Co.'s timeless placemats. From contemporary florals to vintage patterns, there's a set to compliment any decor. 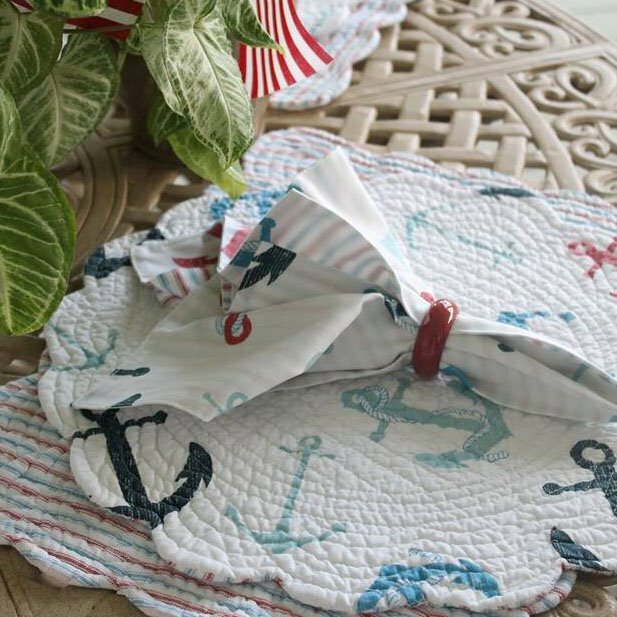 Quilted placemats are reversible to add versatility and value to your tabletop. All placemats and napkins are 100% top-quality cotton, machine washable and in great taste.